the German QUAD dealer for a service. 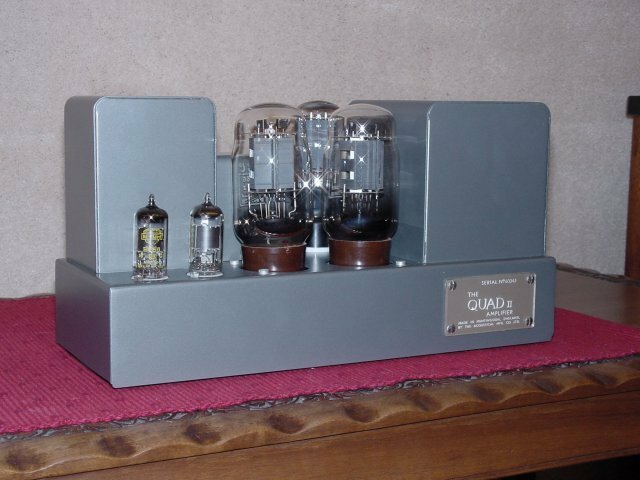 - I though I needed some new "tubes" (possibly new KT66s) because the QUAD IIs were sounding too soft. components and replace them where needed in stereo pairs. they were as old as mine QUAD IIs but had been cosmetically refurbished. safely with modern equipment (and also to be able to use them with my "tube" pre-amplifier and FM and AM tuners).